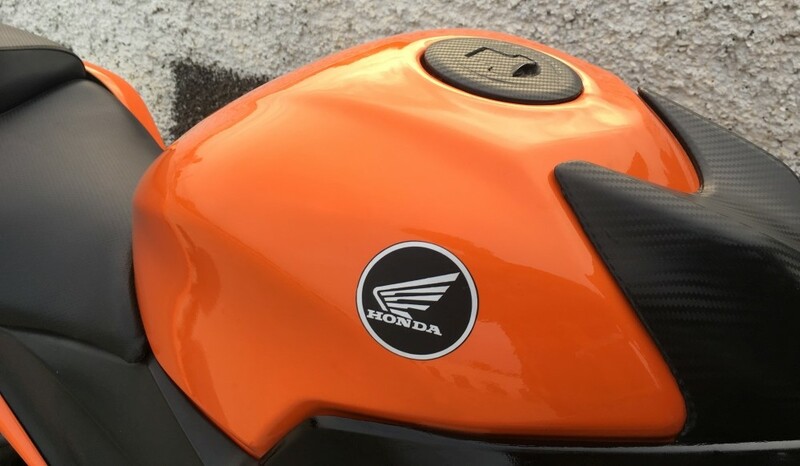 The post BIG Sales Drop: Honda Scooters Sales Down by 40% in India appeared first on Maxabout News. Honda India (HMSI) has registered a huge drop in the sales chart of its scooters in the country. 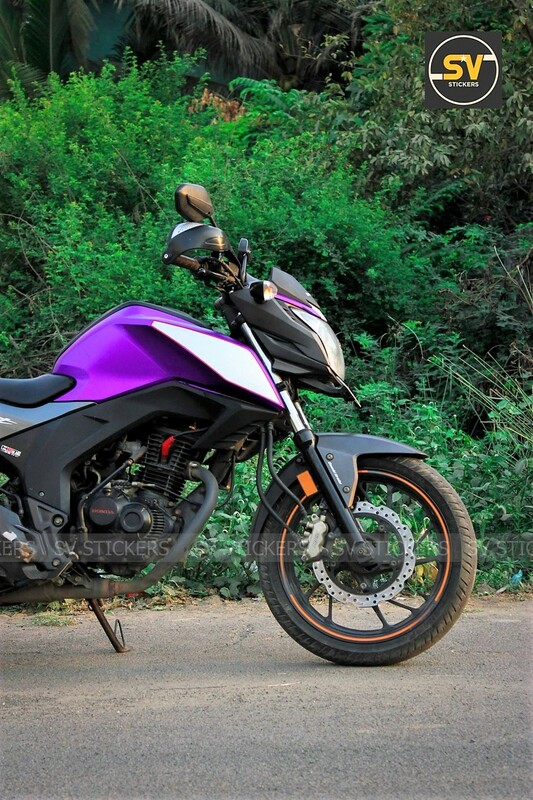 The drop is unbelievable at 40%, taking away the second position on the sales chart and passing the same over to TVS Motor (Read More). 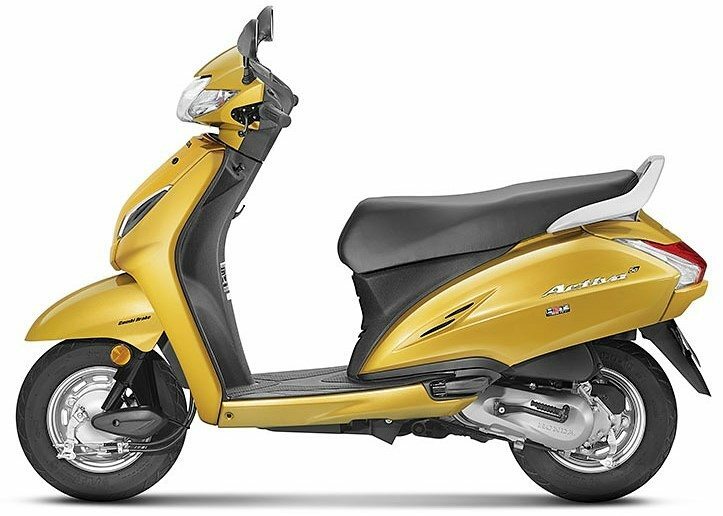 Honda currently retails five different scooter brand names and out of them, only Activa has three different models with multiple variants listed under them. The best selling product is undoubtedly Activa, selling 1,48,241 units and registering a drop of 29% in YoY sales growth. The number includes Activa 5G, Activa 125 and Activa-i, showing how a figure over 2 lakh units could fall once the demand from buyers goes down in response to new sales policies throughout India. 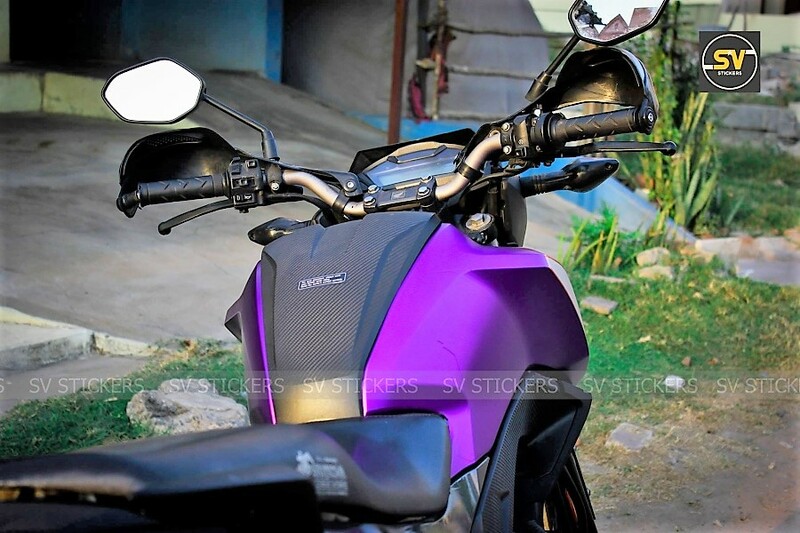 The second best selling scooter is Honda Dio, posting just 6761 units and registering a 79% drop in the YoY number. Grazia was another superstar premium scooter and posting just 2262 units in March 2019 means 86% of drop for the scooter. Honda Aviator has already lost most of the fan following but, the number was never expected to be as low as 1133 units in the 31-day period. The 84% drop is huge and considerably contributes to the total drop in sales for the brand. The worst case here was Honda Cliq as the scooter registered zero units in March and got a 100% drop in the YoY comparison. Honda has undergone a production cut to keep the inventory fresh as they are stuck with a lot of scooters with their dealers and the number will rise if they don’t slow down the production process. 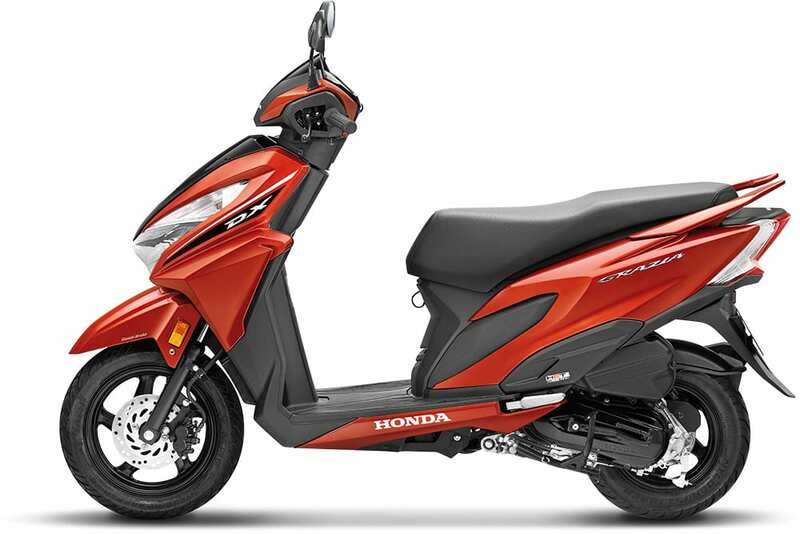 Honda scooters are the most reliable options across the Indian brands, leaving just a handful of options surviving their immense fan following. 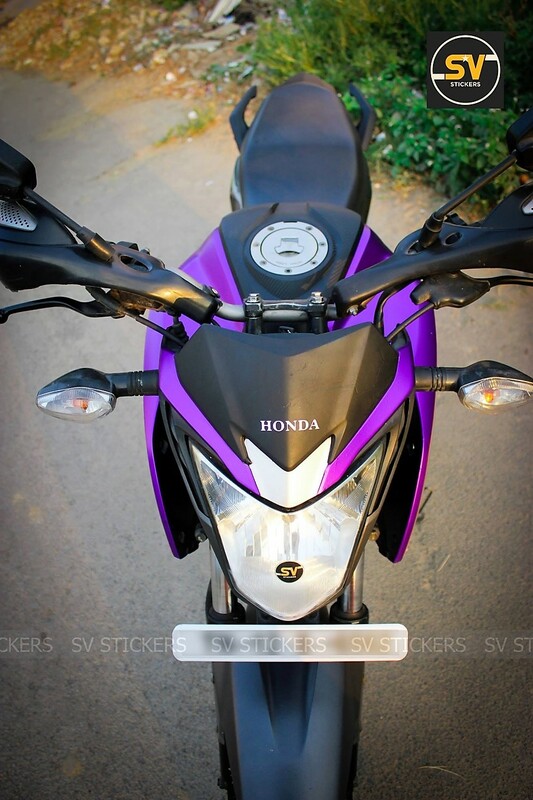 Those who are not into Honda prefer going for Suzuki Access, TVS Jupiter and few other options from Hero and Yamaha. The post Honda CB150 Verza India Launch Expected in 2020 appeared first on Maxabout News. 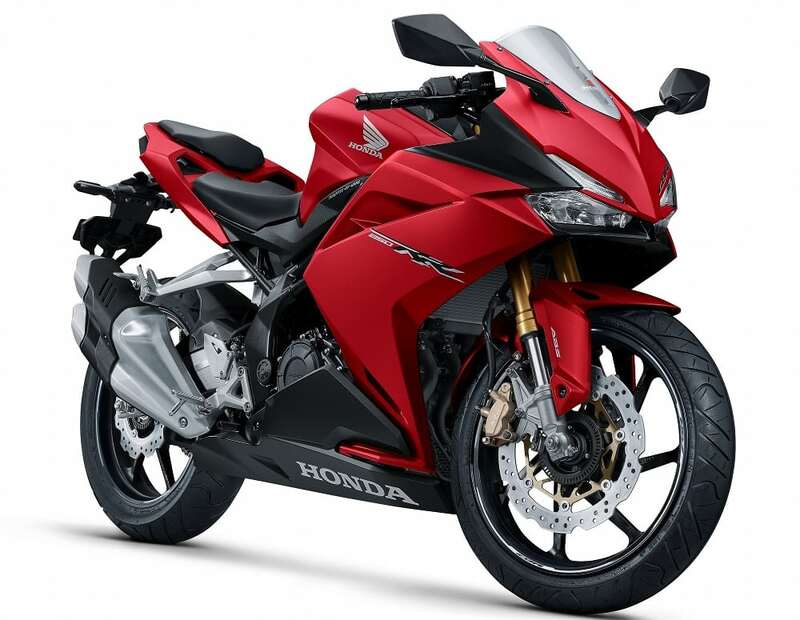 2019 Honda CB150 Verza can be the next big thing for the Indian arm of the Japanese brand as falling sales number demands new products with not just performance but, mass-market approach. 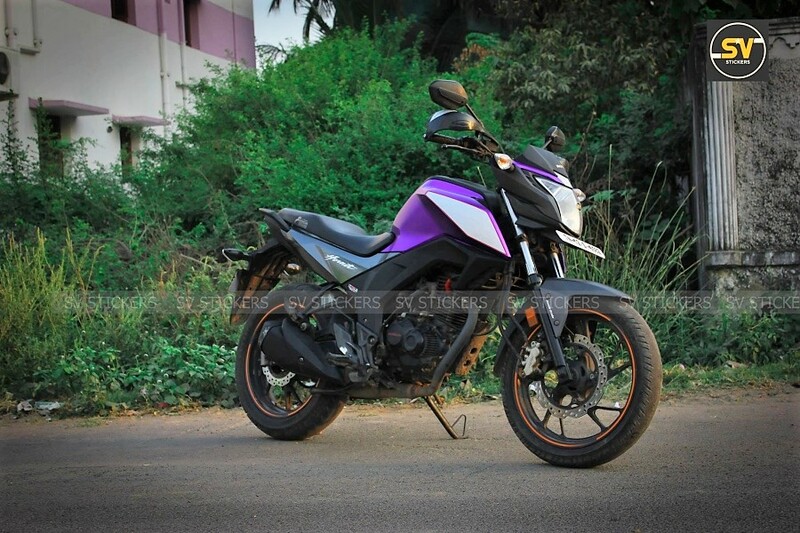 The Unicorn has aged well and the halt of production for the 160cc variant means that Honda has a slot left for a product that balances the equation. CB150 Verza comes with a round headlight, not so similar to the premium LED unit of the Neo Cafe series but, carrying a unique feel with the two suspension-mounted parts. 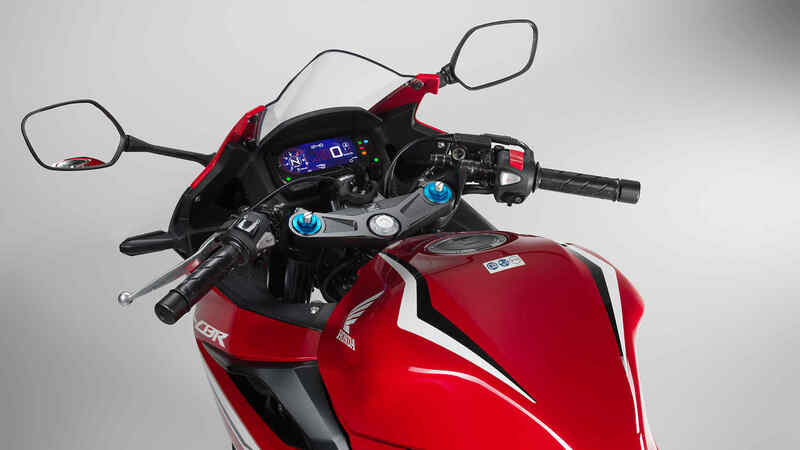 The all-digital console is placed right above the headlight while front, as well as rear suspension components, totally belong to the commuter segment. The fuel tank is well shaped, carrying extensions that are sporty enough to define the overall character of the bike. Honda Unicorn nameplate is very important for the brand and branding the same motorcycle under the Unicorn lineup can be another possibility for sure. The plain black alloy wheels, all-black exhaust, and long seat will help Verza carve a name for itself in the commuter-specific market of India. The motorcycle is available in Gloss Black, Matt Black as well as Bold Red shade in Indonesia while the Indian market can get more colours influenced from the CB Hornet series. Honda is using designs with round headlights in the 2019 options, making most of them look similar due to their common design inspiration. 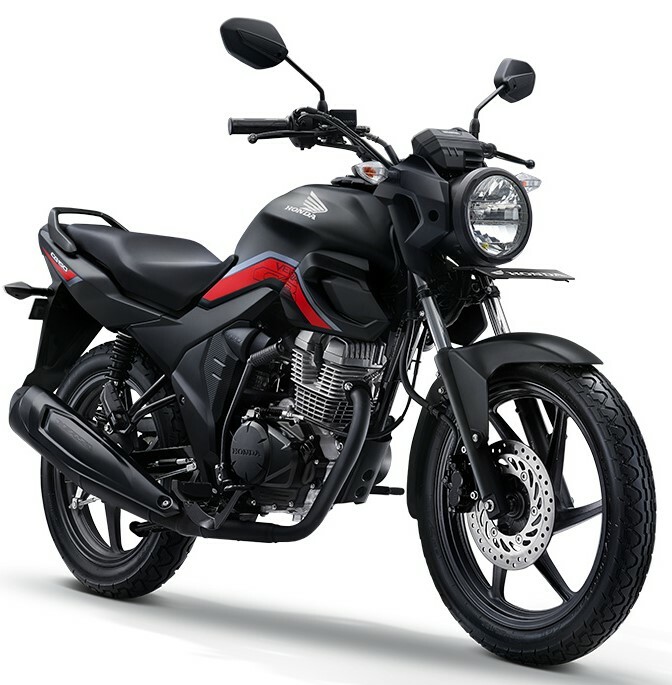 The CB150 Verza is slightly different due to its commuter-centric profile and launching the same for under INR 80,000 can be the best bet for Honda India. 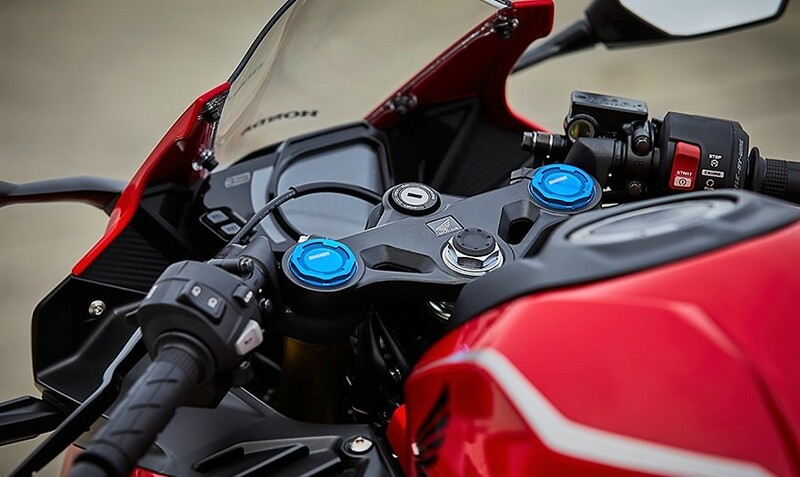 The motorcycle is expected to arrive in 2020 as BS6-compliant engine can be used for the first time under the Verza nameplate. Also, the price mentioned here can be for the single-channel ABS model. The engine will use fuel injection and other important additions for a refined character. 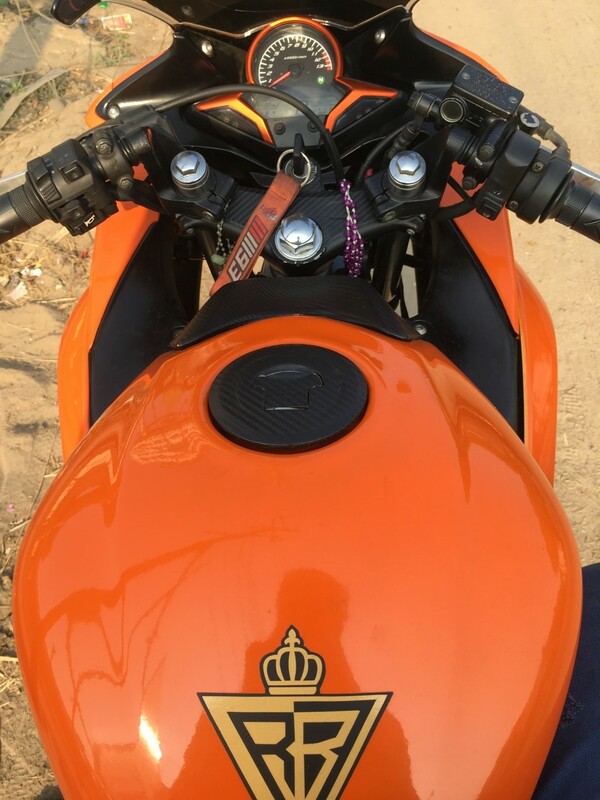 The post Honda CB300R Sold Out in India; Bookings Temporarily Closed appeared first on Maxabout News. 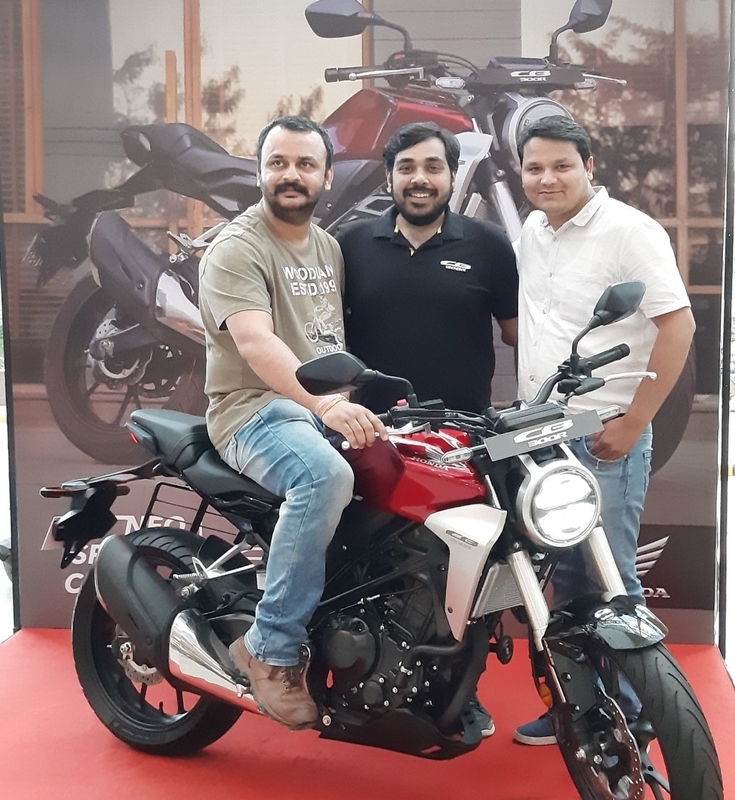 Honda CB300R was launched in India in February 2019 at an effective price tag of INR 2.41 Lakh (ex-showroom). Being regarded as one of the best offerings from the brand, the bookings for the Honda CB300R has already reached the 500 units mark. 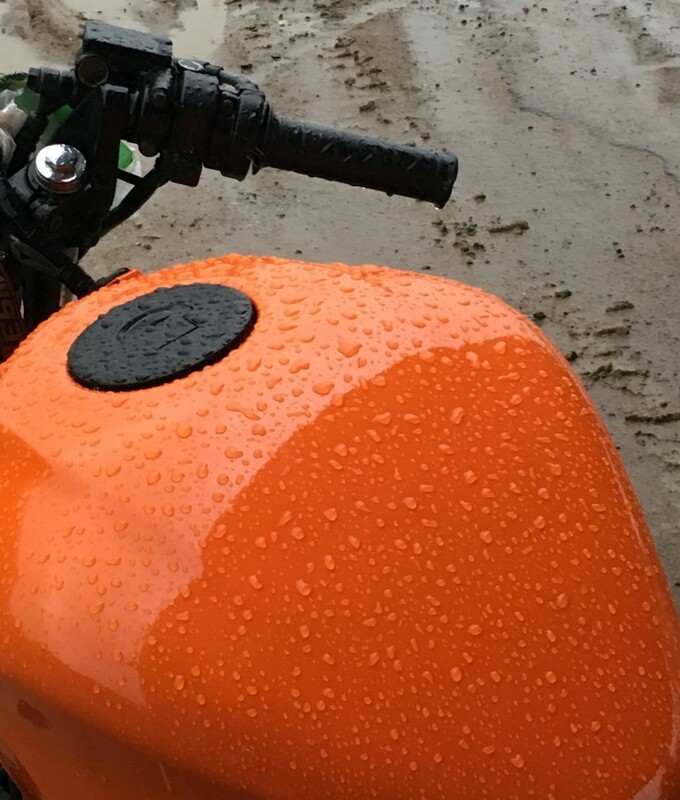 This overwhelming response from the enthusiasts has forced the brand to stop accepting more bookings for its affordable streetfighter temporarily. It is expected that Honda will reopen the bookings for the CB300R after making the pending deliveries in the coming days. The Honda CB300R is exclusively available with only 22 dealerships across the country though, witnessing an excellent response, the brand is planning to open many more dealerships in order to reach a wider audience. Powering the Honda CB300R is a 286cc, liquid-cooled, single-cylinder engine capable of churning out a maximum power of 30 HP @ 8000 rpm and an utmost torque of 27.4 Nm @ 6500 rpm. The engine has been mated to a 6-speed gearbox. The braking duties are handled by a 296mm single disc brake at the front and a 220mm single disc brake at the rear. The bike has been equipped with dual channel ABS for additional safety. Based on the Neo Cafe Racer language of the New Honda CB1000R, the 2019 CB300R competes in the Indian market with the likes of KTM Duke 390, New Bajaj Dominar 400, and the BMW G310R. 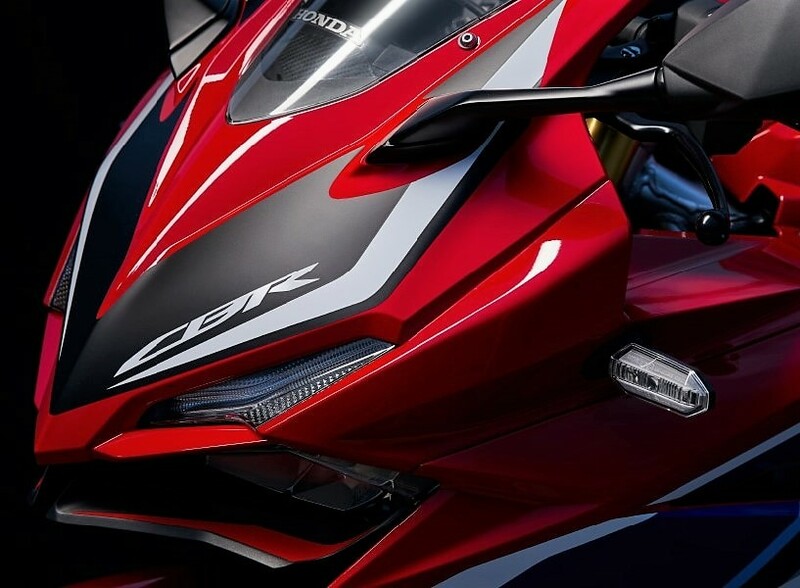 The post 2019 Honda CBR500R Sports Bike India Launch Possible appeared first on Maxabout News. 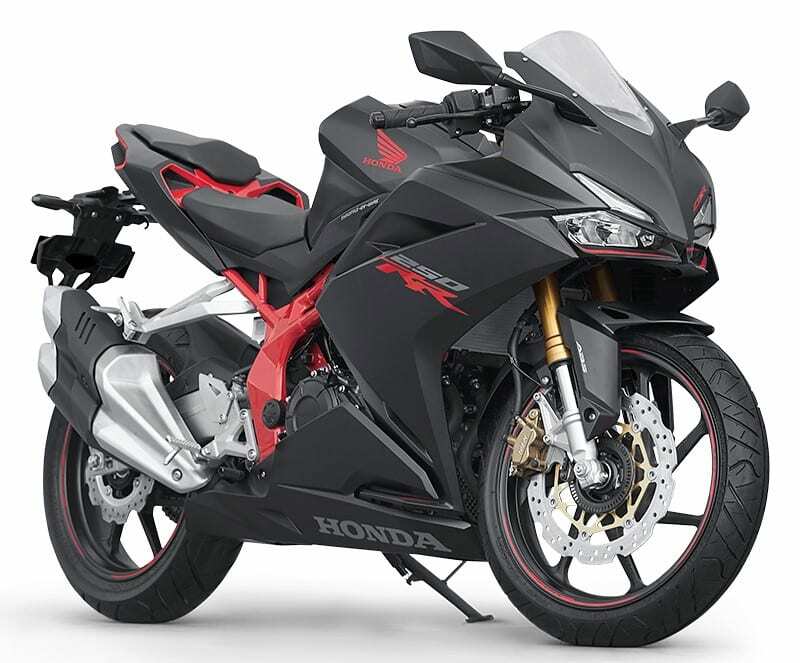 2019 Honda CBR500R can be the next big thing from the Japanese brand for India, which seems to have definite plans of bringing cosmetic upgrades from the litre-class CBR into all the middleweight models. 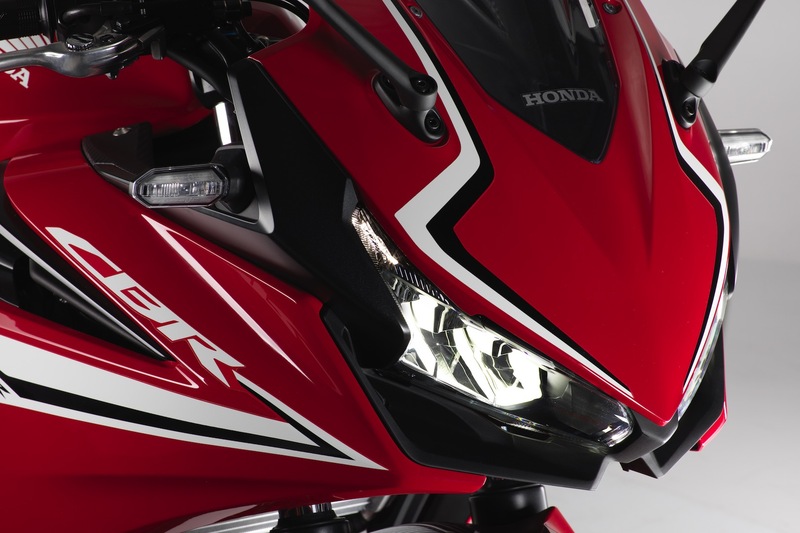 First, the upgrade was seen on CBR650R while later, all remaining products are getting the same front facial expressions with a slight change in fairing size and a different set of equipment. 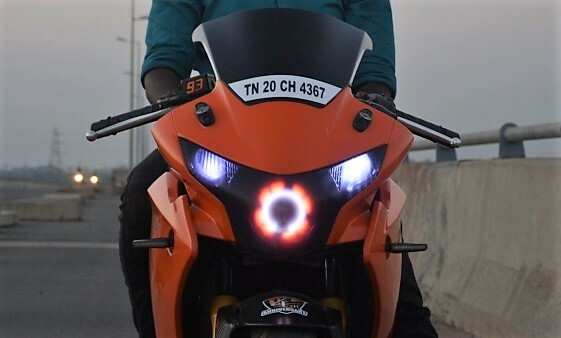 Honda CBR500R comes with a refined front cowl, making space for those two brilliant LED headlights. The indicators are neat and mounted on the inner layer of the fairing. 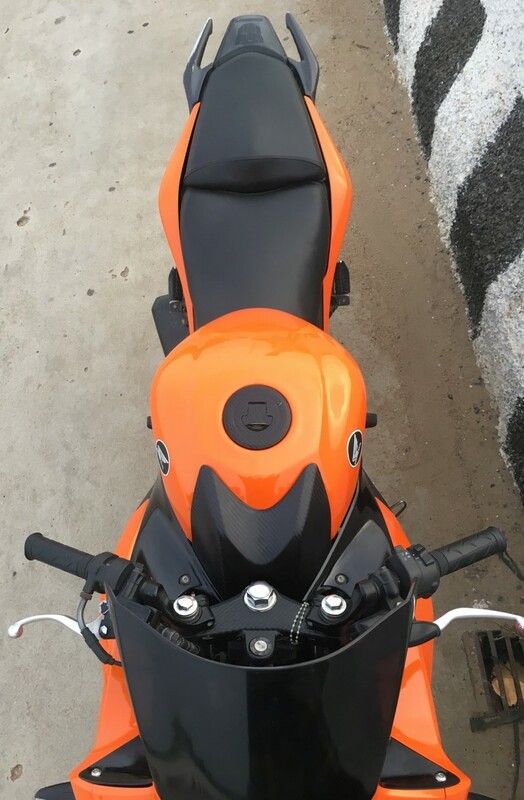 The side profile flaunts big bike feel with single exhaust and twin exits, sharp tail and massive fuel tank with visibly-connecting, dual tone under seat panel. The front comes with a huge petal disc brake and visible ABS ring while the rear disc is decently-sized in comparison to other rivals of this segment. 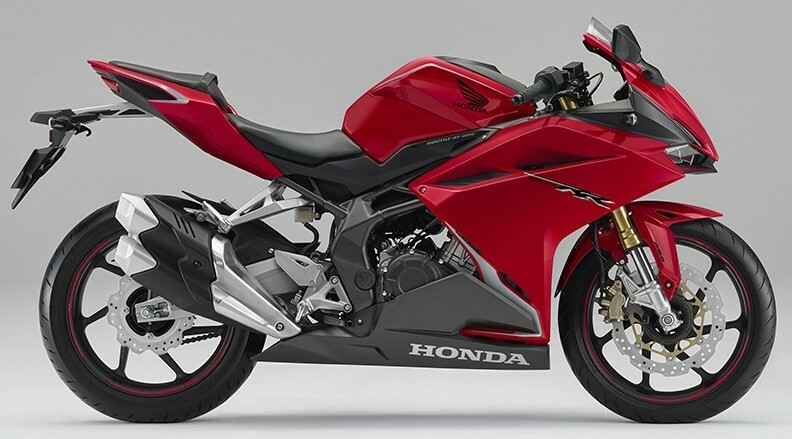 The powerful 471cc parallel twin engine under the fairing places the 2019 Honda CBR500R indirectly against the Kawasaki Ninja 400 and other middleweight performers. However, the benefit of extra displacement is the 43 Nm of impressive torque as power seems decent at just 47 HP. If planned and launched in India, the same restriction will not hold back as the restricted power is a result of A2 licensing for several countries around the globe. Indian market is about to witness the launch of CBR650R and soon after, the plan of bringing an effective Kawasaki Ninja 400 rival is highly possible. The launch of CB300R further confirmed that the plans of expanding their lineup in the premium motorcycle segment are true. 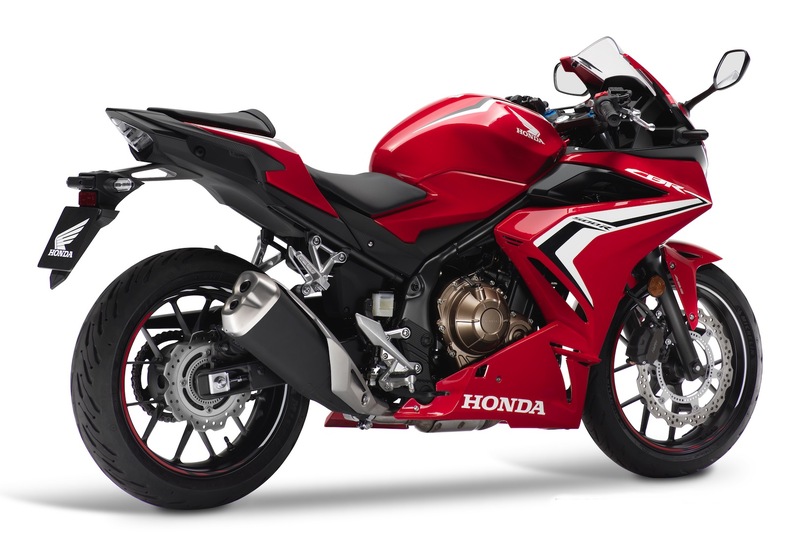 The CBR500R comes with a 120-section front and 160-section rear tire size, further getting dual channel ABS for safer riding. The ZR-spec tires can help the bike stay stable around 200 kph of speed. 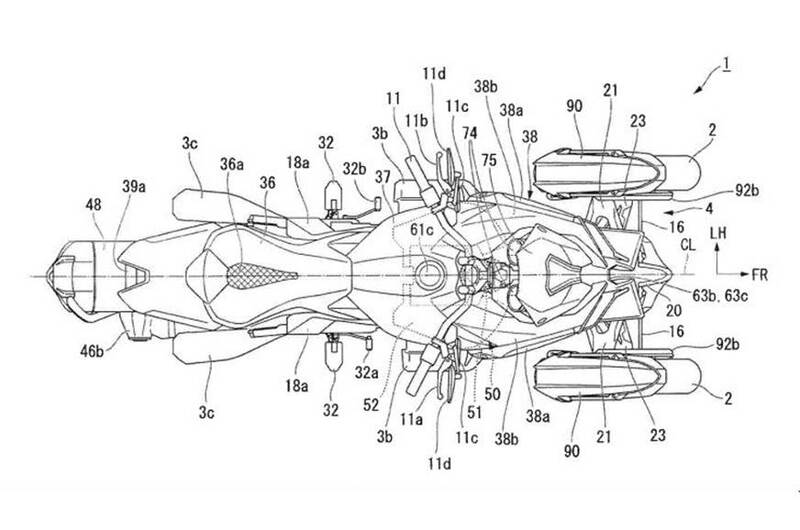 The fuel tank measures 17.1 litres while Honda claims that the sports bike is able to deliver 28.6 kmpl of mileage. 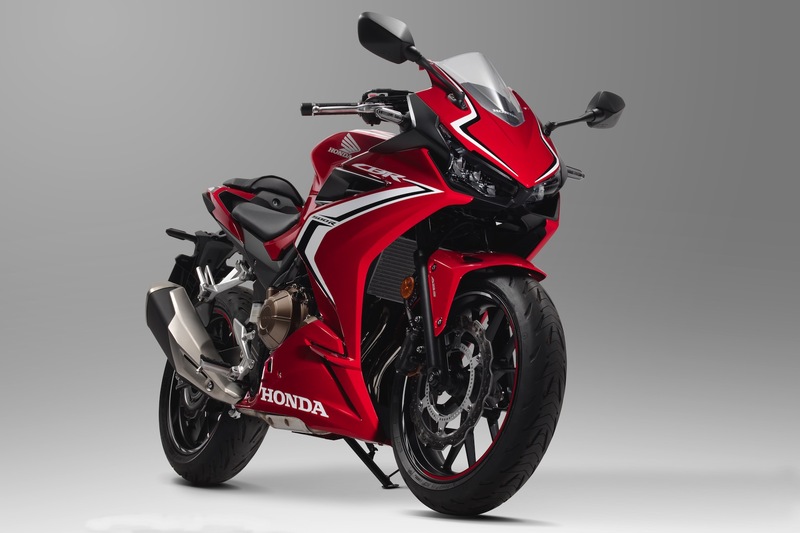 If launched in India, the 2019 CBR500R would be priced somewhere around INR 5 lakh (ex-showroom). 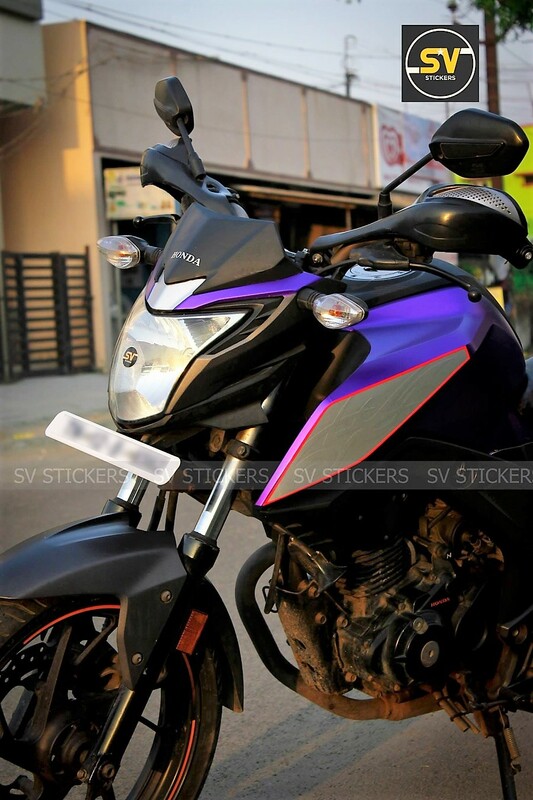 The post Meet Honda CB Hornet Matte Metallic Purple Edition appeared first on Maxabout News. 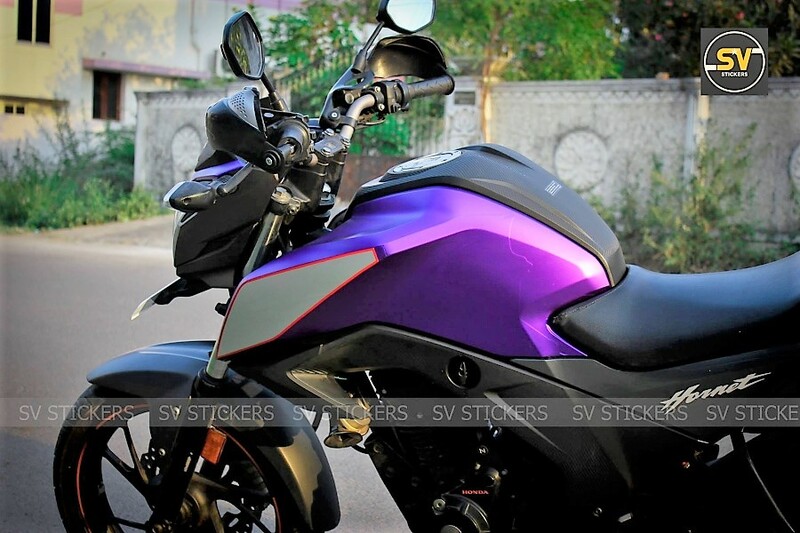 The beautiful Honda CB Hornet Matte Metallic Purple Edition by SV Stickers is the most elegantly-wrapped streetfighter of all time. 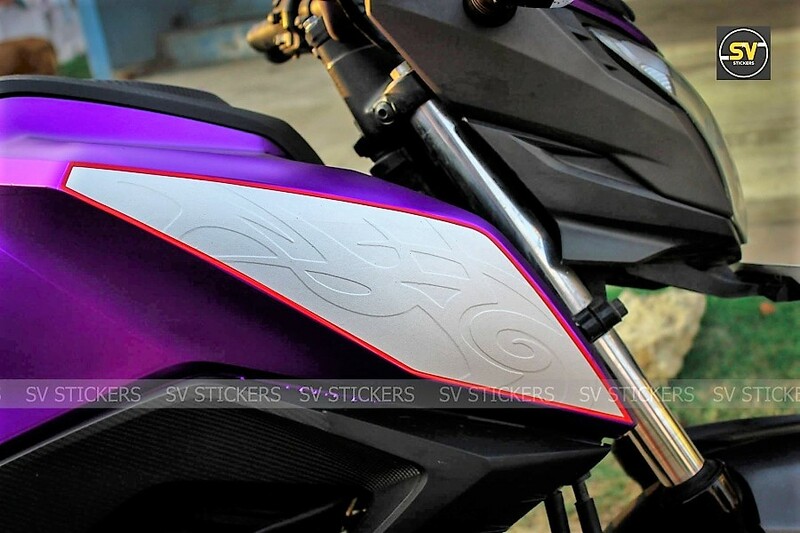 The motorcycle remains exactly similar to the stock version in terms of mechanical values while visually, the fuel tank now comes with two layers of wrap with purple as the base finish and white highlight with a red border and visible pattern under different light conditions. The front fascia comes with the same purple wrap on both the sides while the centre comes with the same white highlight as the side section. 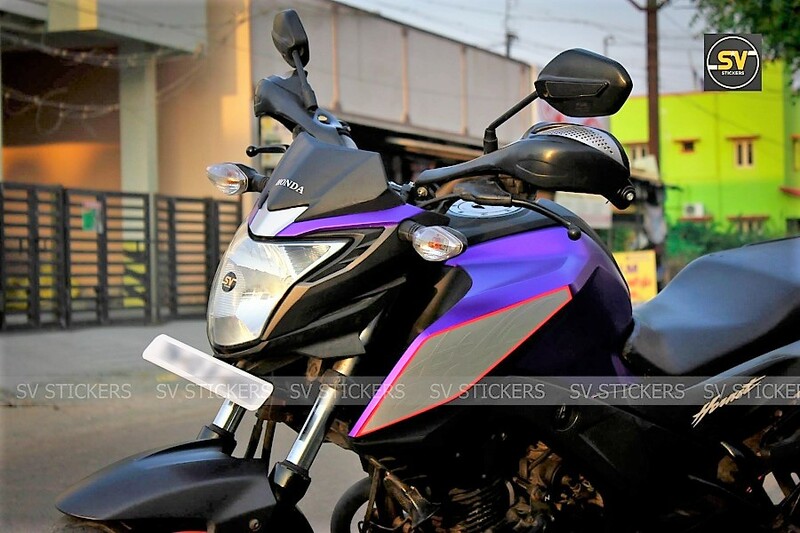 The changes like the addition of knuckle guards are not included in the SV Stickers package. 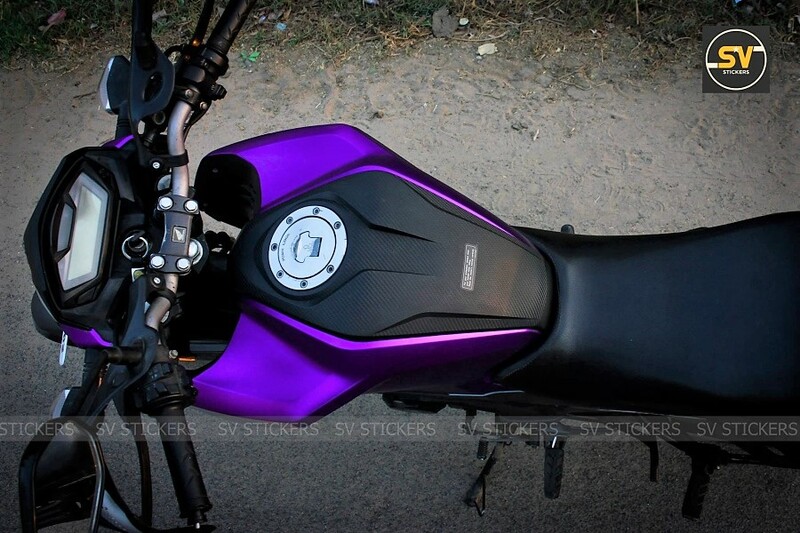 They charged around INR 4500 for the wrap job, leaving the buyer with an additional cost if they prefer getting the rear panel wrapped in some other shade than the basic finish. The 162.71cc, single cylinder engine on the motorcycle is good for 14.9 HP at 8500 rpm and 14.5 Nm at 6500 rpm. 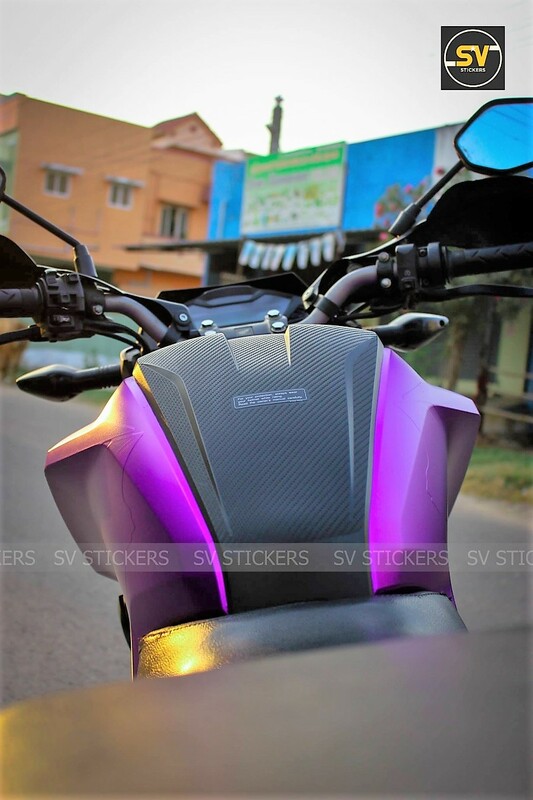 The motorcycle is available in five different shades and the version wrapped by SV Stickers is based on the last generation Hornet. The current generation colours offer patterns on the rear panels too. The price for the stock model starts from INR 92,000 (ex-showroom). The post Honda NeoWing Trike Patented; To Rival Yamaha NIKEN appeared first on Maxabout News. 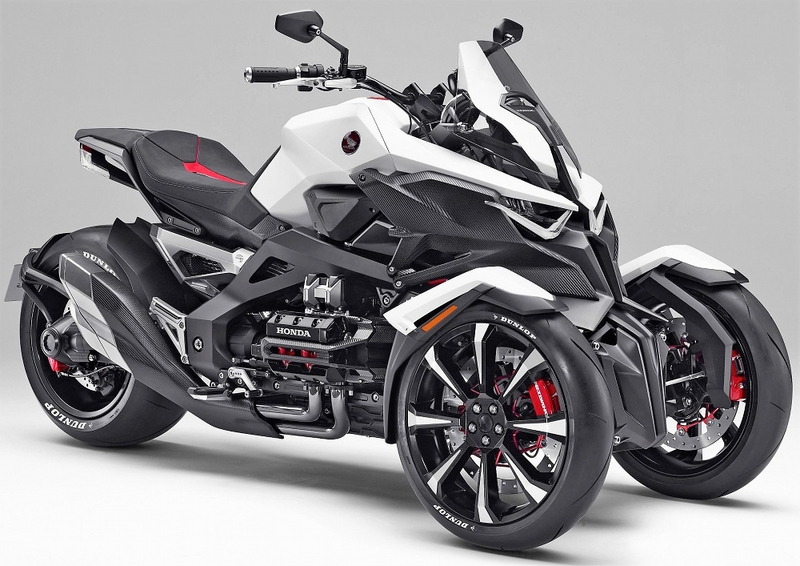 Three-wheel vehicle prototypes are the new trend for the major vehicle manufacturers though Yamaha NIKEN is the only trike available for sale in the market. 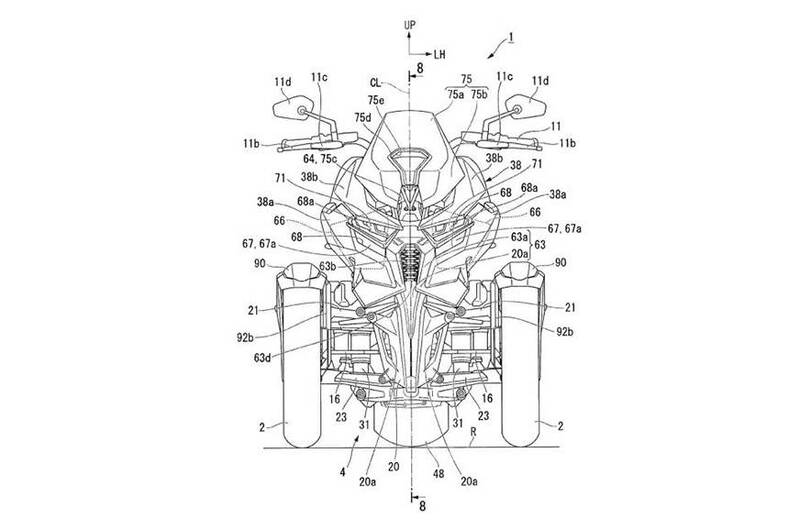 Coming to the latest news on the same, Honda has been granted a patent for its three-wheel motorcycle, NeoWing. The trike was first showcased as a concept in 2015 at the Tokyo Motor Show while the brand filed for the patent in 2016. Honda received the green signal from the European Patent Office last month. According to the recent happenings, the trike would be available in the market sooner than expected, though the unveiling date has not been officially announced as of yet. 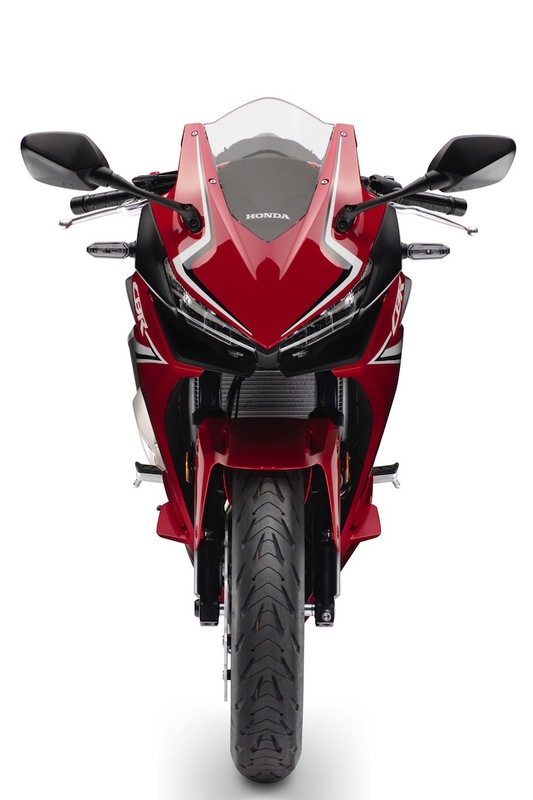 Honda NeoWing is expected to be based on the same engine specifications as that of the Gold Wing. The single wheel at the back is connected to the engine while the dual front wheels are connected to the steering. The bike can lean into corners just like other bikes but would offer more stability and control. 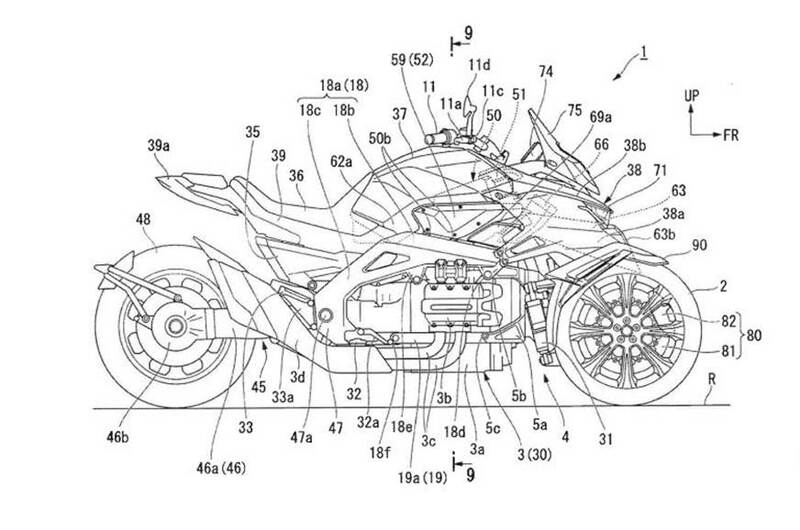 According to the patent, the Honda NeoWing might feature a 6-cylinder engine borrowed from the Gold Wing though, the company does suggest a 2-cylinder engine also. 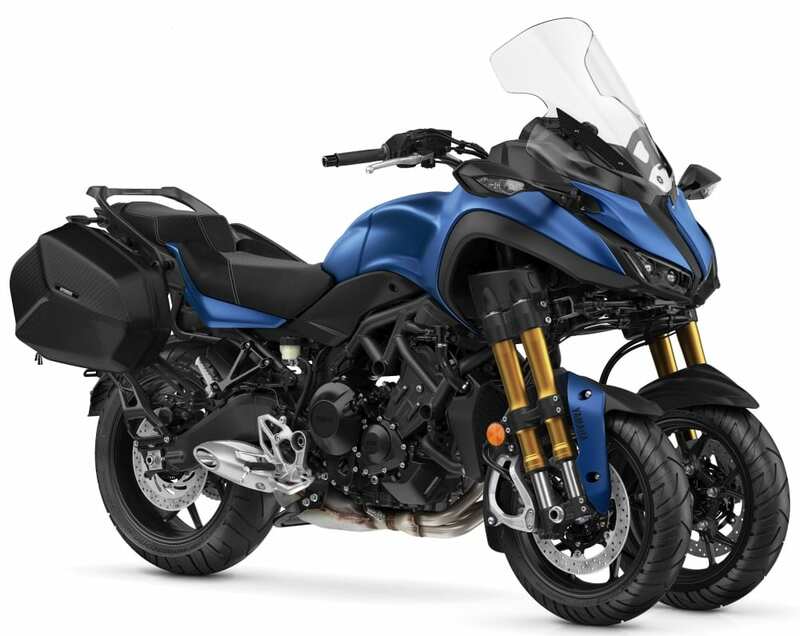 Judging from this, the brand might introduce the three-wheeler with two engine specifications, giving the Yamaha NIKEN a tough competition by launching an entry-level model of NeoWing powered by a 2-cylinder engine. Powering the Yamaha NIKEN is an 847cc, three-cylinder engine that churns out a maximum power of 115 HP at 10,000 rpm and a peak torque of 87.5 Nm at 8,500 rpm. On the other hand, it is also being rumoured that Honda might also equip the NeoWing with a hybrid motor unit where the 4-cylinder engine and the electric motor will offer massive torque output. 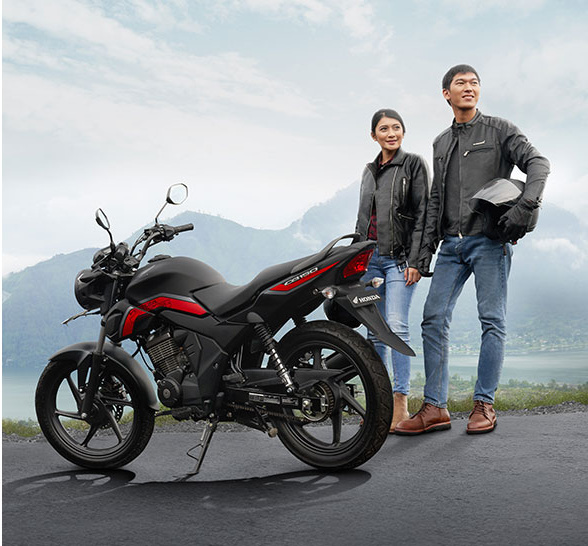 When launched in the International market, the Honda NeoWing would be represented as a premium offering in the brand’s lineup. The post 2019 Honda CB300R Deliveries Commence in India appeared first on Maxabout News. 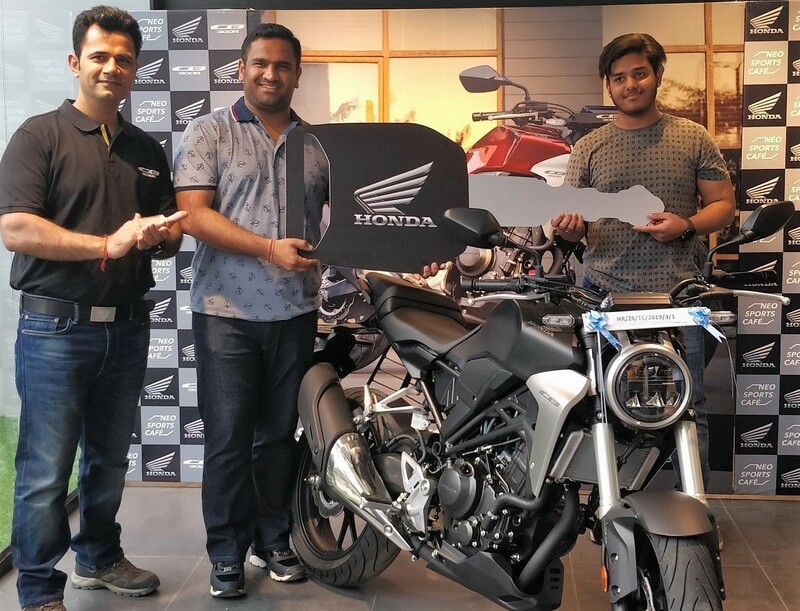 Deliveries for the 2019 Honda CB300R have started officially as the first few units were handed over to the owners by different Honda dealers in Chandigarh, Delhi, Haryana, and Rajasthan. 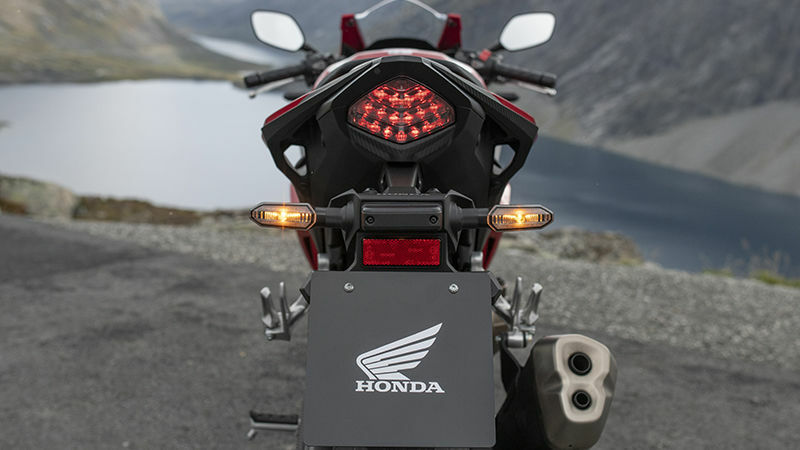 The motorcycle received a considerable amount of success in its first phase as Honda has received more bookings than they had already expected. The first difference that arrives with this change is the manufacturing estimate as they will revamp the production in order to match the increasing booking number. The second factor that was not made official but would be seen soon is that they can increase the number of dealerships that currently have the CB300R with them for sale. 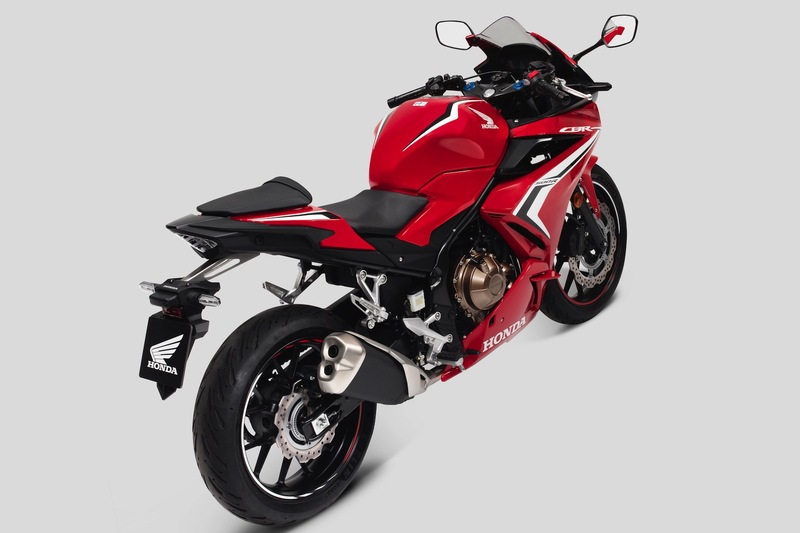 The increase in assembly can help them see more CB300R examples on the road. The 296cc, single cylinder engine on the motorcycle is good for 30 HP at 8000 rpm and 27.4 Nm at 6500 rpm. 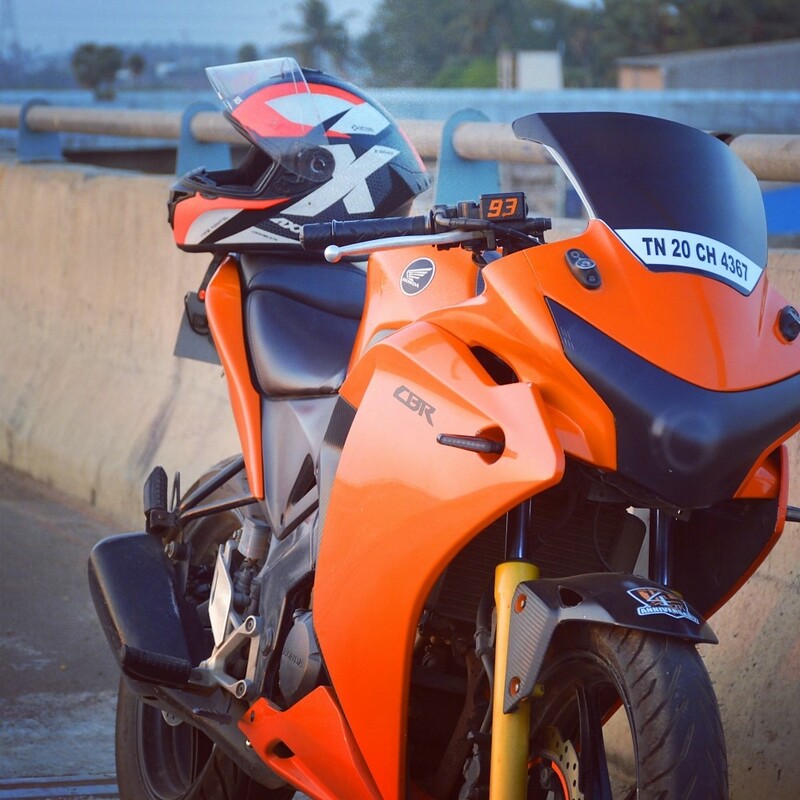 The 147 kg bike comes with an approximate top speed of 160 kph and offers 800mm of seat height. 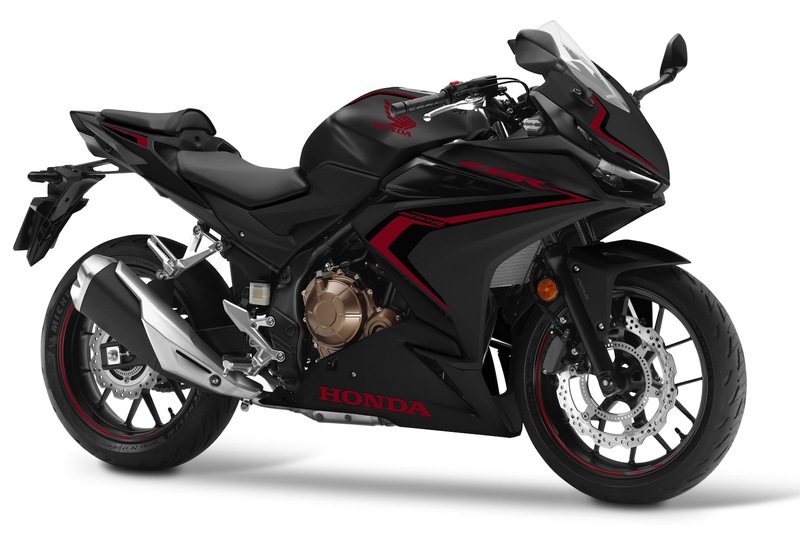 Honda CB300R can be had in Black as well as Red shade. The former is matt finished while the latter comes with gloss finish on the fuel tank and body panels. 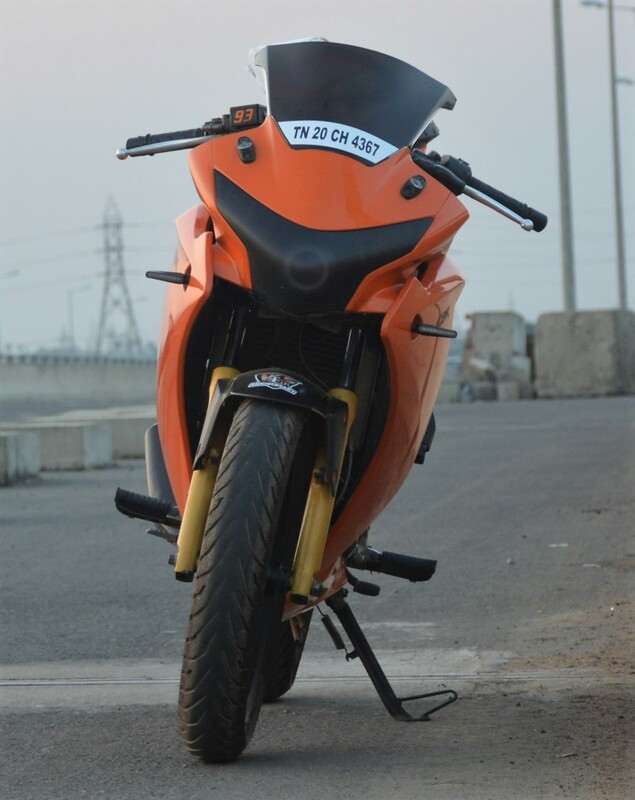 The ex-showroom price for CB300R is INR 2.41 lakh. 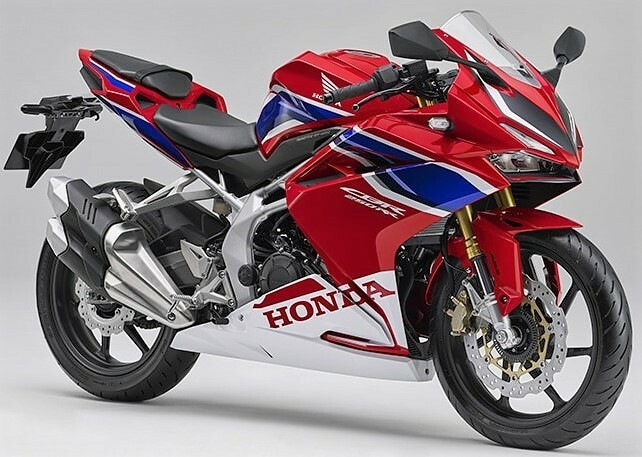 The post 5 Must-Know Facts About 2019 Honda CBR250RR appeared first on Maxabout News. 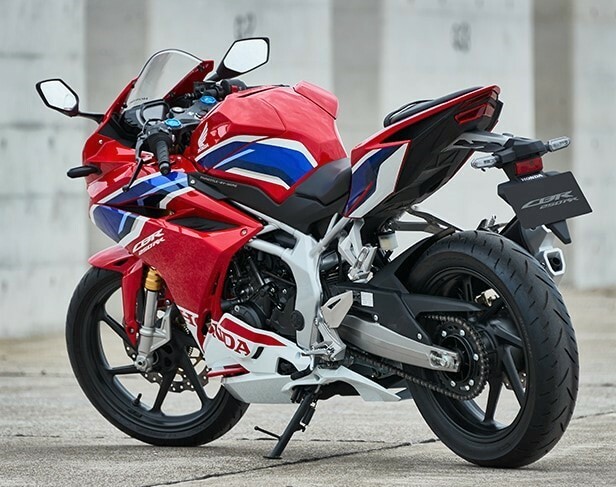 2019 Honda CBR250RR is the most powerful quarter-litre machine one can imagine riding in the present generation of lightweight sportbikes. The motorcycle entered the latest generation with exclusive shades and features that are not seen on any nearby rival. 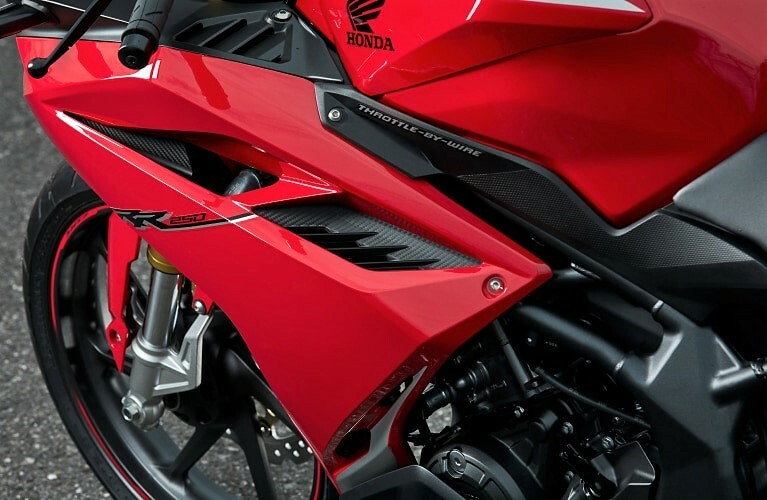 Here are 5 must-know facts about the 2019 Honda CBR250RR. 1) Excellent Head-Turning Design: The sharp design is complemented by dual barrel exhaust, USD gold forks and huge petal disc brakes. The fuel tank is chiselled to the soul while rear end stays sharper than any other rival around the segment. The front flaunts two aggressive lights and a perfectly designed windscreen. 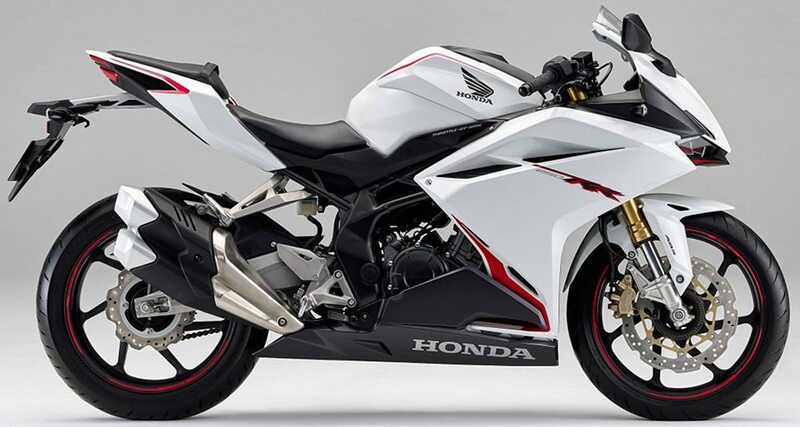 2) Powerful 250cc Twin-Cylinder Engine: 2019 Honda CBR250RR is available with a 249.7cc, liquid cooled and fuel injected engine, producing 38.7 HP at 12,500 rpm and 23.3 Nm at 11,000 rpm. The engine comes mated to a 6-speed gearbox. 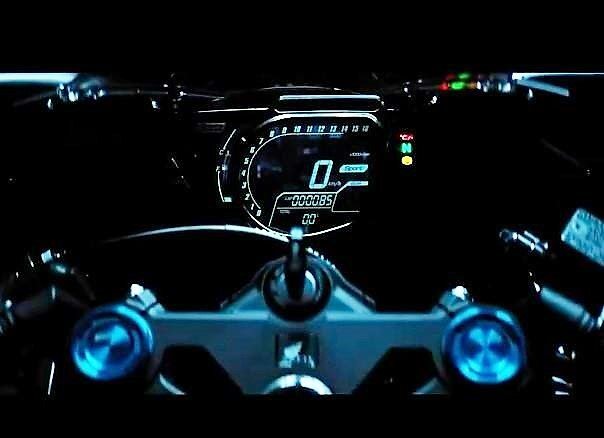 The motorcycle claims 179 kph of top speed and takes just 6.2 seconds to reach 100 kph from a standstill. 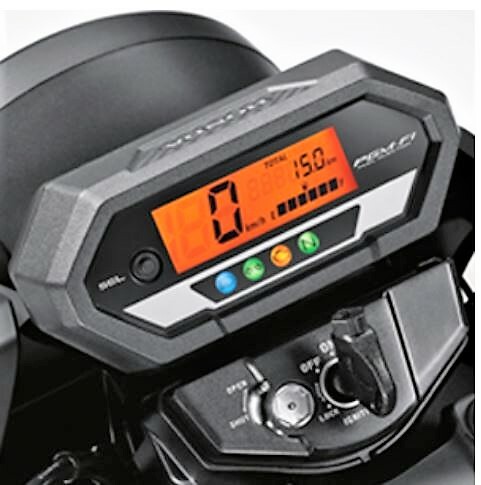 3) Advanced & Very Informative Instrument Console: Honda CBR250RR features an all-digital console with light readings on the dark base. The speedometer value is accompanied by a borderline tachometer, ride mode indicator and gear shift indicator. The overall space is very well divided to bring digital clock and odometer into action. 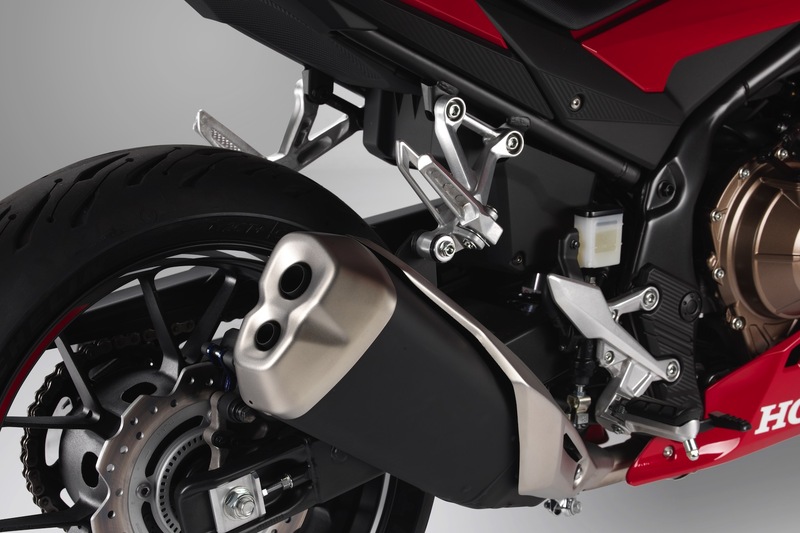 The console looks directly derived from a 1000cc superbike-spec machine. 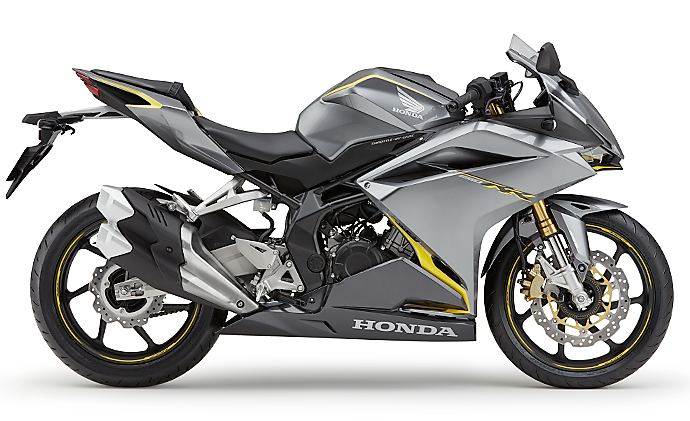 4) Segment-First Features: 2019 Honda CBR250RR is equipped with ride-by-wire and riding modes. No other motorcycle in this segment gets these 2 features, not even as an option. The three riding modes are Comfort, Sport, and Sport+. 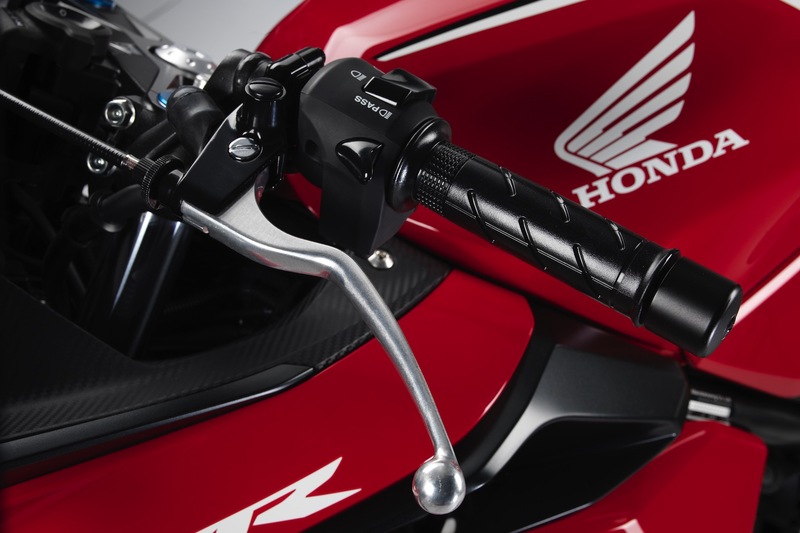 The USD forks were earlier exclusive to the CBR250RR but Yamaha R25/R3 got this feature in the 2019 version. 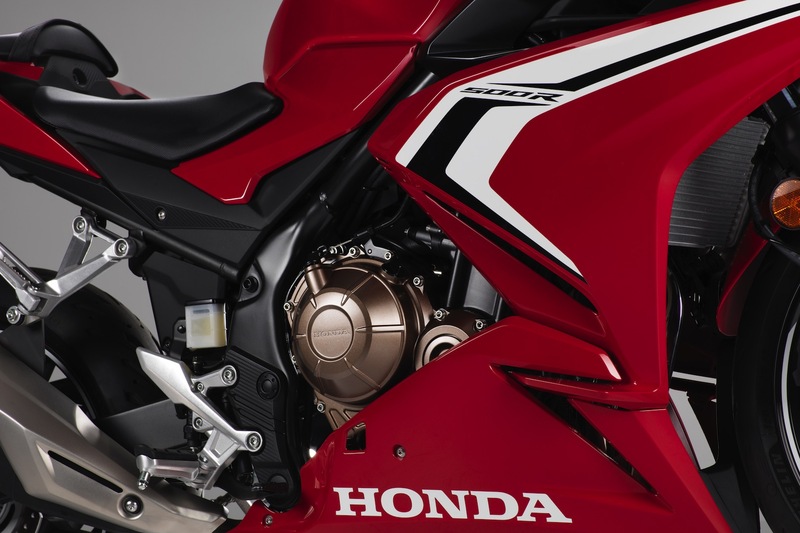 5) Launch Status in India: This may not be a piece of good news for Honda fans but the launch of CBR250RR in India is only possible via local production route. 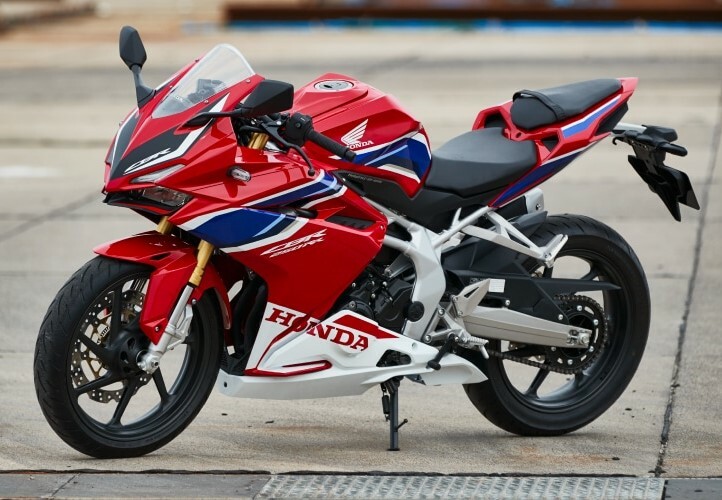 At present, the ABS model of CBR250RR is available in Japan for 806,760 Yen (INR 4.99 lakh, approximate). An aggressive and affordable price tag via CKD (Completely Knocked Down) route is not possible as placing the sports bike at around INR 3.75-4.00 lakh (ex-showroom) would not get the number of buyers required by Honda to keep the operations going. 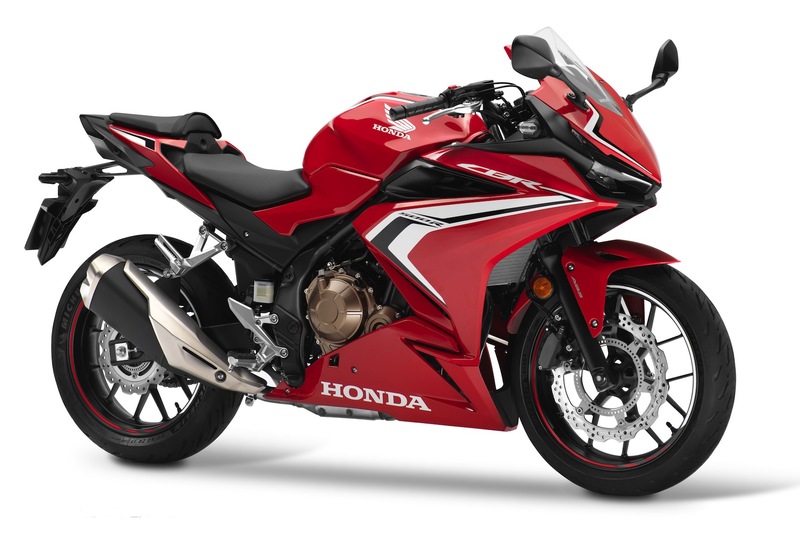 If Honda starts the local production of CBR250RR and manages to price the sports bike at around INR 3 lakh, only then the brand would be able to get a decent sales number in India. 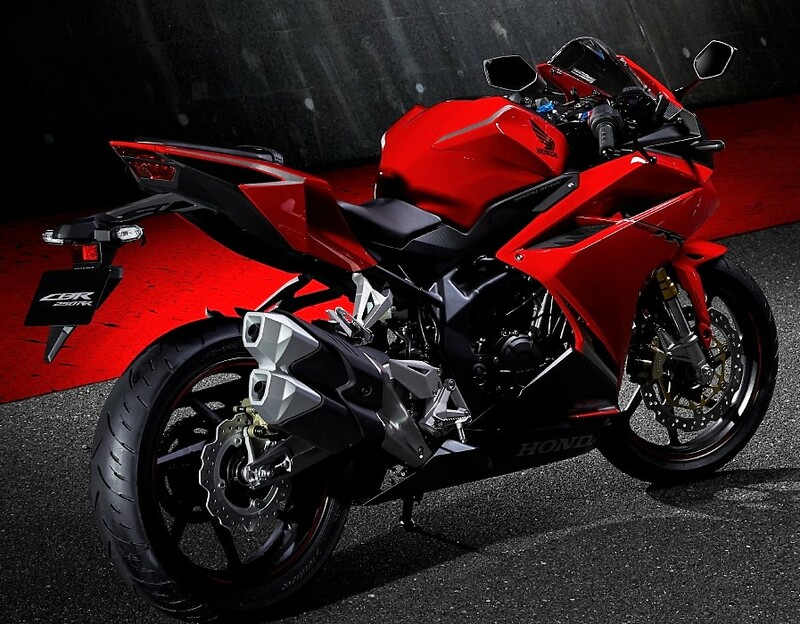 As of now, HMSI has not announced anything officially regarding the launch of CBR250RR in India. The brand may consider the sports bike for the Indian market at a later stage in future. 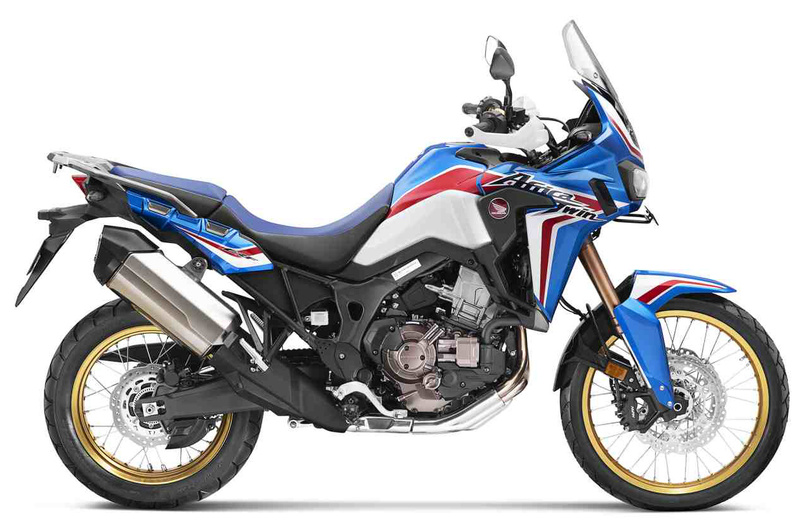 The post 2019 Honda Africa Twin Launched in India @ INR 13.50 Lakh appeared first on Maxabout News.